Former British Prime Minister Margaret Thatcher famously had a brief four hours a night. German Chancellor Angela Merkel has made similar claims, and swapping hours in bed for extra time in the office is not uncommon in tales of business or entrepreneurial success. Yet the researchers said the belief that less than five hours shut-eye was healthy, was one of the most damaging myths to health. Thatcher: Can people get by on four hours’ sleep? Will the light from your phone kill you? You’ve spent so long trying to nod off you’ve managed to count all the sheep in New Zealand (that’s about 28 million). So what should you do next? The answer is not to keep trying. 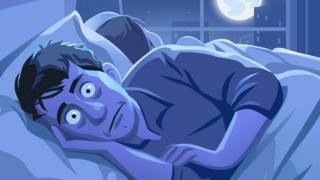 “We start to associate our bed with insomnia,” said Dr Robbins. Her tip – go fold some socks. Who isn’t guilty of reaching for the snooze button on their phone, thinking that extra six minutes in bed is going to make all the difference? But the research team says that when the alarm goes off, we should just get up. Dr Robbins said: “Realise you will be a bit groggy – all of us are – but resist the temptation to snooze. Instead the advice is to throw open the curtains and expose yourself to as much bright light as possible. Snoring can be harmless, but it can also be a sign of the disorder sleep apnoea. This causes the walls of the throat to relax and narrow during sleep, and can briefly stop people breathing. People with the condition are more likely to develop high blood pressure, an irregular heartbeat and have a heart attack or a stroke. One of the warning signs is loud snoring. Flu vaccine: Is it more effective if you're in a good mood?